The summer event will be taking place from Thursday, June 27th to Saturday, June 29th at Nathan Phillips Square. This year we are participating in the Fashion Shows and Moments throughout the three day event. Each day there will be different themes that you are able to participate in and showcase your already created designs/collections. If you are interested in participating, please fill in the column that you find yourself best fit using the sign-up sheet by Wednesday, April 24th 12:00pm. Once you have signed-up, Sadia Kamran from Ryerson University will be in touch with next steps. Thank you for your participation and interest!! The artist also recently installed a large-scale public art piece at the Sorel-Tracy waterport, in Quebec, and was very honoured with the prize. Born in Longueuil, Quebec, she holds an AOCAD with Honours in Drawing and Painting. Click here to learn more about Yechel Gagnon and her work. Indigenous artist and OCAD U alumna Chief Lady Bird has illustrated a new children’s book, Nibi's Water Song, about the importance of clean water. Chief Lady Bird completed her BFA in Drawing and Painting with a minor in Indigenous Visual Culture at OCAD University in 2015. Written by Sunshine Tenasco, the founder of Her Braids, an organization committed to advocating for clean drinking water in Indigenous communities, the book will be published by Scholastic Books in July 2019. Nibi is the Anishinaabemowin word for water. In Nibi's Water Song, an Indigenous girl named Nibi can't find clean water to drink. In the book, with no luck from her tap, or the nearby river, Nibi heads to the next town and starts knocking on doors looking for a safe source of drinking water. Chief Lady Bird is Chippewa and Potawatomi from Rama and Moose Deer Point First Nations. Her Anishinaabe name is Ogimaakwebnes, which means Chief Lady Bird. A CBC interview with Chief Lady Bird and Sunshine Tenasco is available online. Welcome to OCAD U’s new alumni newsletter! 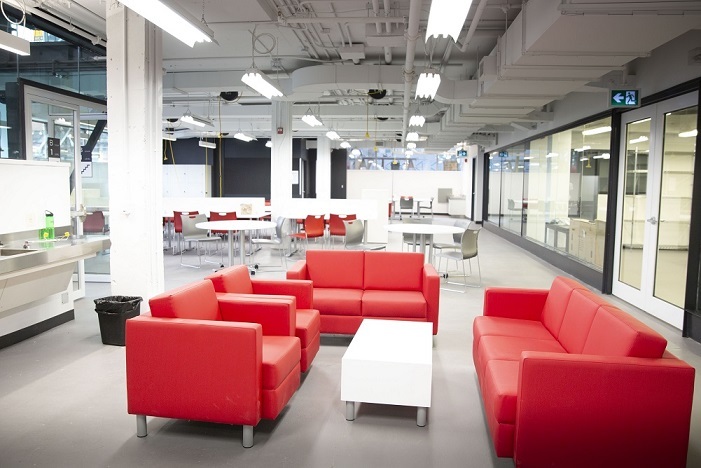 As part of OCAD U’s thriving community, we look forward to sharing with you our latest news, activities and projects. Our campus has grown and our curriculum continues to nurture the minds of artists, designers and innovators. Our alumni are found in countries all across the globe. Whether you remember it as OCA or the Ontario College of Art and Design, OCAD University is now Canada’s largest and most comprehensive art, design and media university. Perhaps when you attended, most of your classes were at 100 McCaul St. or across the street at the Annex Building. We are growing! 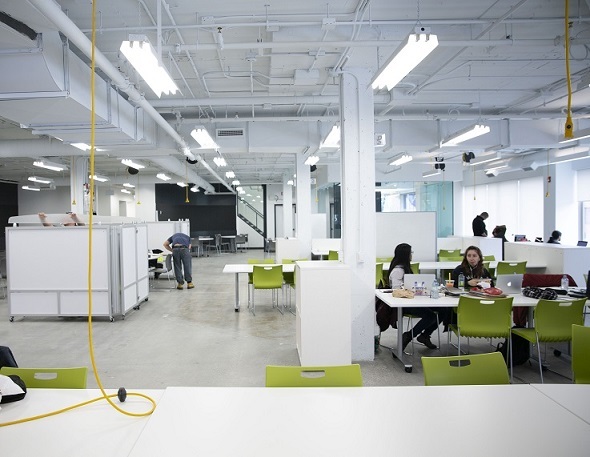 During the past three years, OCAD U has focused on ensuring that its spaces support increased interdisciplinary learning to enhance our students’ education. 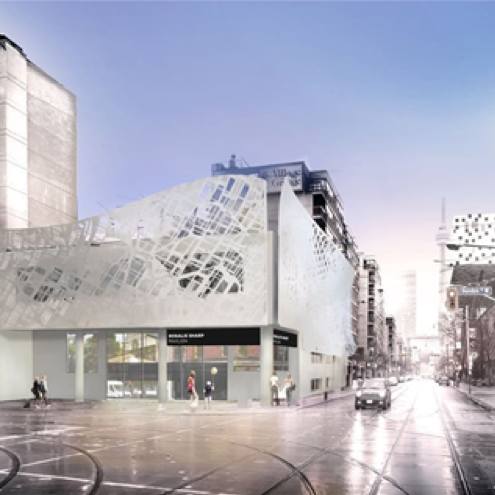 Our Creative City Campus project is in full swing, building and renewing infrastructure while putting OCAD U on the map in Toronto’s dynamic downtown cultural corridor. 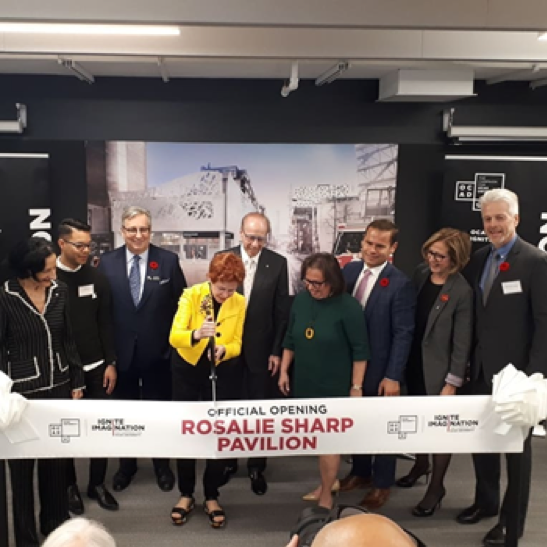 Most recently, OCAD U officially re-opened the refurbished Rosalie Sharp Pavilion at 115 McCaul St. (Dundas and McCaul streets). Thanks to our generous donors Rosalie and Isadore Sharp, the building is now home to the university’s Experiential Learning Centre and new thesis space. An alumna of OCAD University, artist and designer Rosalie Sharp was the university’s first Chancellor, and purchased the building as a gift to the university in 1998. We’re thrilled to provide more space for students to engage in the type of practical, hands-on learning that we are known for; to foster innovation, expertise and career success. 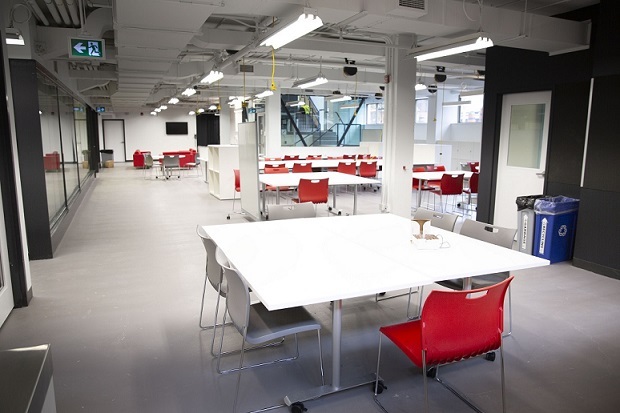 The Centre for Emerging Artists and Designers, on the third floor, has a wide scope of activities and opportunities to help students and recent graduates succeed in the working world. Here, students and recent alumni can find work-integrated learning placements, jobs, attend special career-building events and programs, professional development, mentorship and networking opportunities. 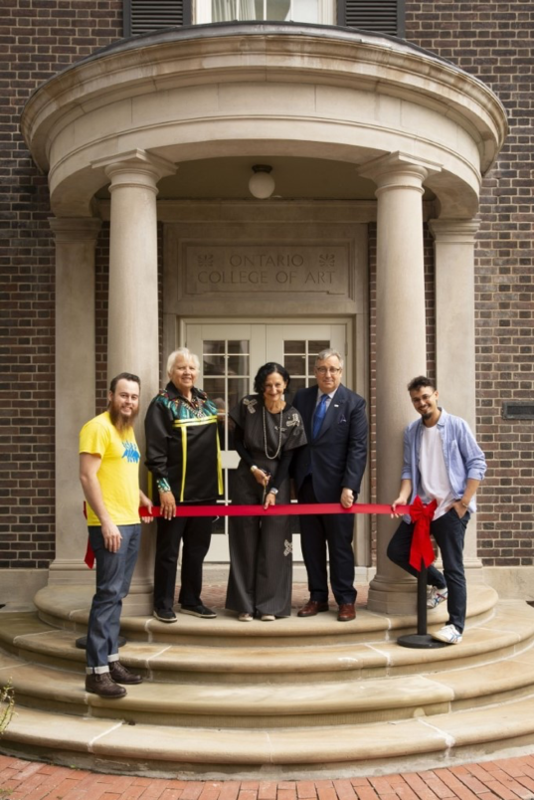 OCAD University’s historic George Reid House officially re-opened in September. The dynamic renovation of the building included the addition of Indigenous artwork created by Inuk artist Couzyn van Heuvelen. George Reid House is the original 1921 campus building of the Ontario College of Art (OCA) and the first building in Canada built specifically for the purpose of the education of professional artists and designers. The building’s refurbishment includes the modernization of interior facilities, the creation of new event, meeting and program spaces, and the development of an enhanced circulation space with display opportunities. The Creative City Campus project is funded by the Government of Ontario (through the Ministry Training, Colleges and Universities) and the Government of Canada through the Canada 150 Community Infrastructure Program (through the Federal Development Agency for Southern Ontario). A rendering of the exterior of the Rosalie Sharp Pavilion. The stainless steel scrim, designed by Bortolotto Architects, represents a data visualization of downtown Toronto streets overlaid with arts and cultural institutions. Ribbon-cutting ceremony at the re-opening of the Rosalie Sharp Pavilion. OCAD University, Canada’s leader in preparing the next generation of contemporary artists, is pleased to be opening the doors of our Florence studio to the public! A new set of non-credit courses being offered beginning this spring (2019) is open to the public of all skill levels, creative practitioners worldwide and the OCAD U community. These courses are led by OCAD U faculty members including Anda Kubis and Nicole Collins. You’ll have access to studio space in a quiet shared palazzo in Florence’s San Marco neighbourhood, group critiques, intro Italian lessons and group community events and tours. Learn more about these courses including sample itineraries, course leader bios and other details. We have launched phase two of our Ignite Imagination fundraising campaign! The campaign, publicly launched in 2015, had an ambitious goal of $60 million. We’re happy to report that we have surpassed that goal, with $70 million in private and public support! This will support our Creative City Campus and infrastructure projects, our galleries, and our remarkable people and programs. In phase 2, our target is $30 million to achieve our stretch goal – an unprecedented $100 million. You can view our campaign video here. We look forward to keeping you informed and staying in touch. For the latest in OCAD U news, connect with us on Twitter, Facebook, YouTube and Instagram. Amanda Roy is currently Sales Manager North America - ALM (archives, libraries, museums) at Axiell, the number one provider of collections management technology in the world. In her capacity as a Collections Technology Specialist, Roy has worked with some of the largest institutions in the world: the Smithsonian National Museum of Natural History, National Museum of the American Indian, and National Museum of American History, as well as Canadian institutions such as TIFF, Ryerson Image Center, and the Canadian Museum of History. Martha Robinson is a PhD candidate in the Interuniversity program in Art History at Concordia University. 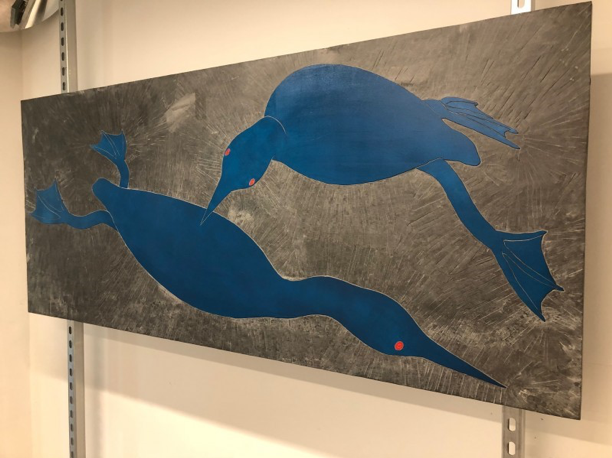 Her doctoral research is rooted in an investigation of the animal—in particular, visual culture addressing birds and avian life, and how contemporary artists adopt strategies of representation (and species) to comment on issues of climate change and extinction in the so-called Anthropocene. She has conducted extensive research on animal art and collections in Canada and the United States, and is currently writing her dissertation. Building on her Master’s research, her project engages both posthumanist theory and historic and current practices of representation in the discipline of natural history. Robinson has recently developed and taught two undergraduate courses at Concordia: Art and the Animal: Posthumanism, Visual Culture and Art History and The Art of Natural History and the Politics of the Collection. She has also written catalogue essays for Nicholas Crombach, Jannick Deslauriers and Clint Neufeld at Art Mûr. For professionals who want to learn how design can be used as a tool to create social change, this 10-day international course is for you. 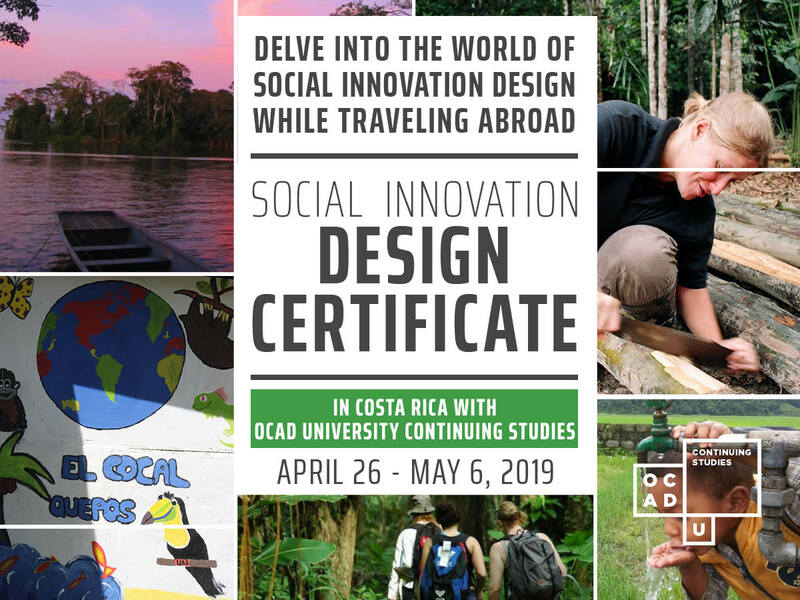 Learn to apply design thinking and the participatory design process to co-create solutions to challenges faced by local residents in Quepos, Costa Rica. Graduates from this course will receive a Social Innovation Design Certificate from OCAD University Continuing Studies.